Blog | Page 2 of 2 | R&S Erection of Vallejo, Inc. 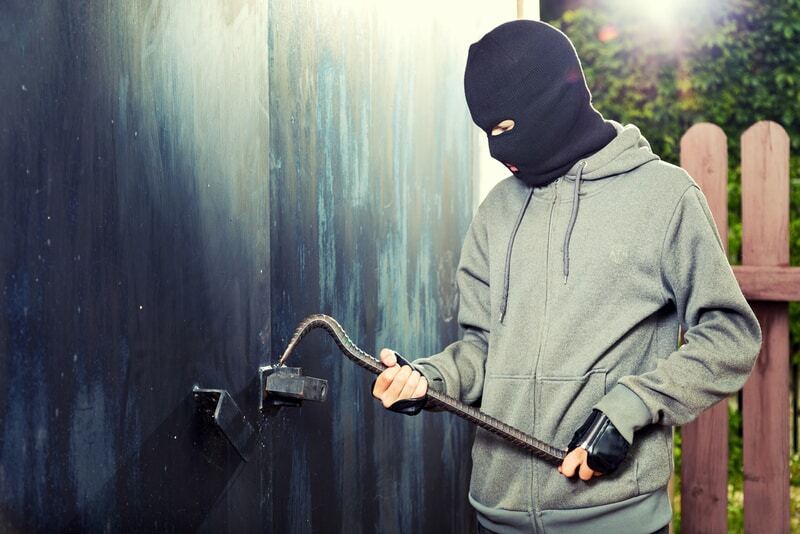 While only 17% of homes in the US have a security system, every home has a secure entrance system whether a locking gate or a deadbolt on the door. Having a secure home gives people peace of mind against intruder and burglars. One of the best ways to ensure that no one gets on your property without your say-so is to have an automatic gate system. Before you run out and install a gate, you need to learn about the different types of gates so that you can choose the perfect one for your home. Here are the main categories of features to look for. 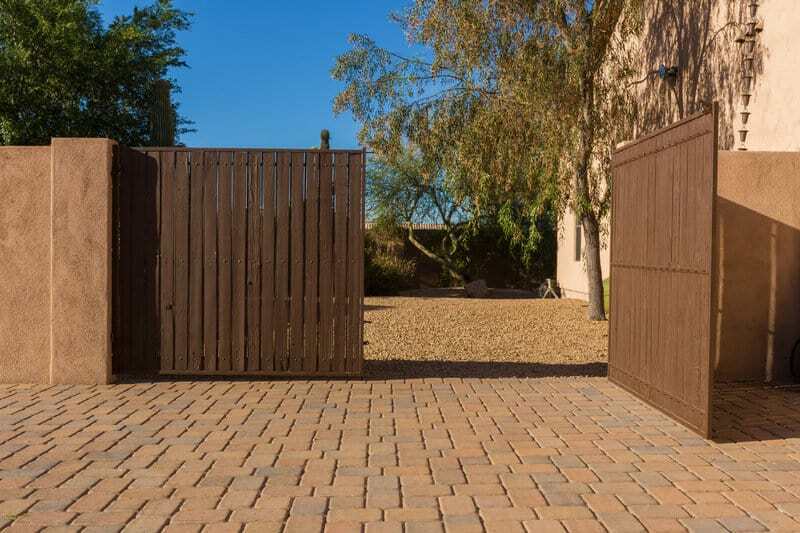 Which Automatic Gate System Is Right For You? The description of a slide gate is pretty much in the name. They can be installed in just about any kind of terrain and require a track to set up. You need to have a space that is wide enough to accommodate the gates moving laterally as they’re opened. A slide gate usually entails two gates that are opened at the center and move along a track in order to let you into the home. Other slide gates can latch at one point as the entire gate slides laterally away from the latch point to open. These gates can be installed on driveways, along fences, at the perimeter of your property or close to the entrance to your house. A swinging automatic gate system will be attached to hinges on either side of your driveway or entrance to your estate. When opened, the gates can be made to swing out toward the entrance or inward, toward your property. The best idea is to make them swing toward your property so they don’t hit the entering vehicle and aren’t struck by oncoming traffic. Swing gates come in single or double gates, depending on the width of your driveway. Single gates are adequate for your standard sedan-width driveway, however, double gates lend an air of opulence to your driveway. If you have a driveway that’s on a steep grade, they will typically open toward the downward slope. Be aware of this standard if you have to climb a hill toward your property and would prefer not to have that look. You might prefer a slide gate in that instance. Without an automatic opening mechanism, you may have to leave your vehicle just to open your gate. Automatic gates allow you the convenience of hanging an interface that’s accessible through your window in order to get them open. One of the most popular types of gate entry systems is a system with keypad entry. With any keypad system, you can set your own private code in order to gain access. The system will keep anyone from opening your gate without the password. This is a highly preferred system because it allows you to get access to your home and property without needing to carry a key or a card. If you have guests visiting, you can give them the keycode to enter. You can know that they’ll have no problem making themselves at home when you can’t be there to swap physical keys with them. 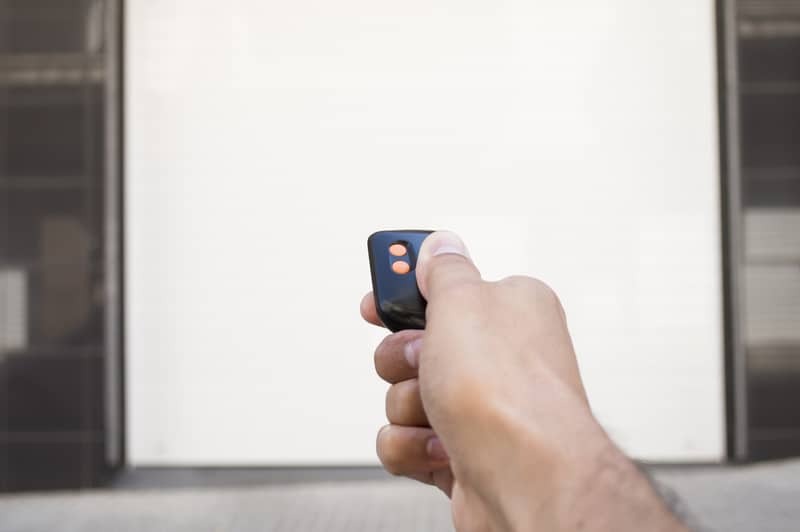 A keycard automatic gate system is popular because they keep you from having to memorize a code but give you a lighter key than your standard metal one. Card entry systems require just a swipe to get you onto the property. There’s something undoubtedly cool about being able to swipe a card to open the gate to your home. They lend a cool aesthetic appeal that makes your home seem extra modern. You can have as many cards as you want to be printed and handed out to anyone who you want to have access to your property. It’s simpler and faster than entering a code while being just as secure. If you’re looking for a fun and modern entry system, cards are the way to go. Now all that’s left is to decide what kind of material you want your gate to built out of. Your choice of material only depends on the style of home that you want to have. Your gate is sure to be secure and sturdy no matter what material you choose. Wrought iron gates lend a classic type of look to a modern security gate. Wrought iron is a strong material that won’t need to be repainted very often. It doesn’t break down or corrode the way other metals do. Wrought iron gates are strong and secure but often leave a little bit of space between the bars. If security is more important than intense privacy, there are many lovely styles available in wrought iron. Modern wooden gates provide a secure way of keeping intruders out while allowing you a lot of aesthetic flexibility. You can build a facade that’s rustic and vintage over a modern metal frame that secures just like any other automatic gate. You can build something that looks more high-end and contemporary out of wood as well. The planks that you use can be of any material and spaced out however you please. A tightly ordered set of planks will provide you with lots of property and keep the line of visibility from the street to a minimum. A wooden gate can be made to match any type of fence you already have built around your property. Talk to your fencing provider and see what kind of automatic gate material they would recommend. An automatic gate system should feel both secure and comfortable, looking like a welcoming home to anyone with the keycode. There are plenty of options and a professional installer can help you decide which is right for your situation. If you want to know what types of automatic gates are available in your region, check out what we have to offer. We’ve all been there. You’ve just parked your car. You’re about to go inside, and you’re pressing the little button but your garage door won’t close. It doesn’t work. You try it again. It still doesn’t work. This goes on for some time, and by the end of it all, it still hasn’t closed. Unfortunately, the reasons for this are a complete mystery. If this is currently what you’re facing, take a deep breath and understand that we’re going to help you fix this problem. It’s okay. We’ve all been there, and we can help you fix it. As for the reasons, we’ll get into them in a minute. But before you try to do anything else, there are a few things that you can check to see if they may be the cause of your problem. In your hand, there is that little remote that transmits the signal to the garage. That signal tells the garage to “Close.” If the batteries are dead, the remote can’t send the signal. Some of the remotes display a light that indicates if there are batteries in the remote and if the remote can send the signal. Sad to say, not all garage door remotes come with this light. Test out some new batteries if there is no light. The source of the problem may just be that the batteries are dead. One other thing to check before getting deep into problem-solving is to check the sides of the garage door. 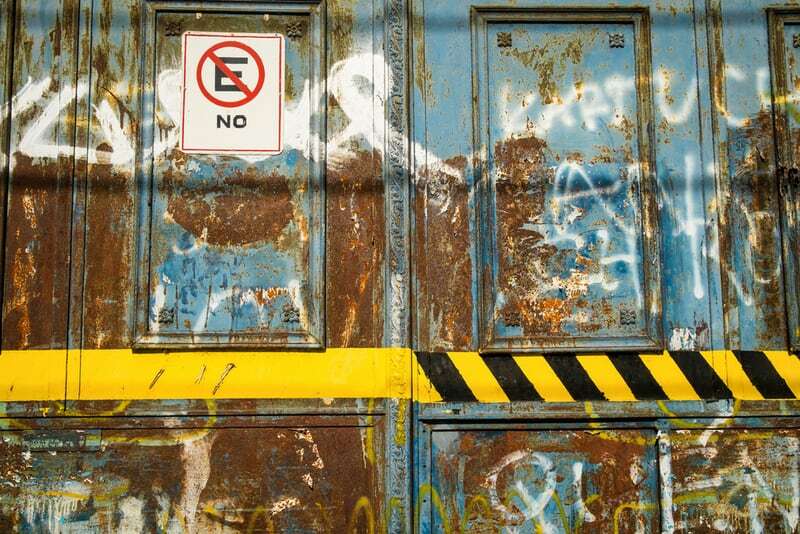 In the early nineties, garage doors started having these things called “Photo Eyes” built into them. These “Eyes” are sensors that detect any object that may get damaged by the garage door. It was meant as a safety precaution, and as such, you need to check the sides where the sensors are to remove anything that might be in the way. 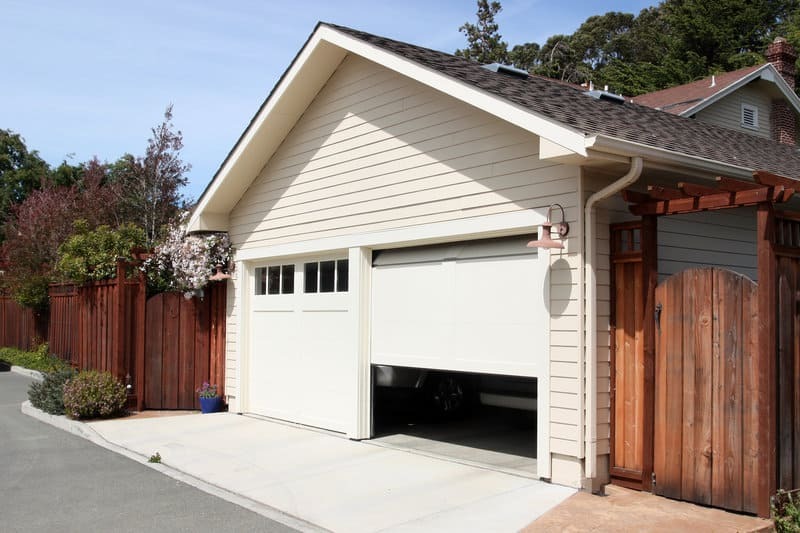 Your garage door runs on something called a “garage door track.” Creative name, I know. 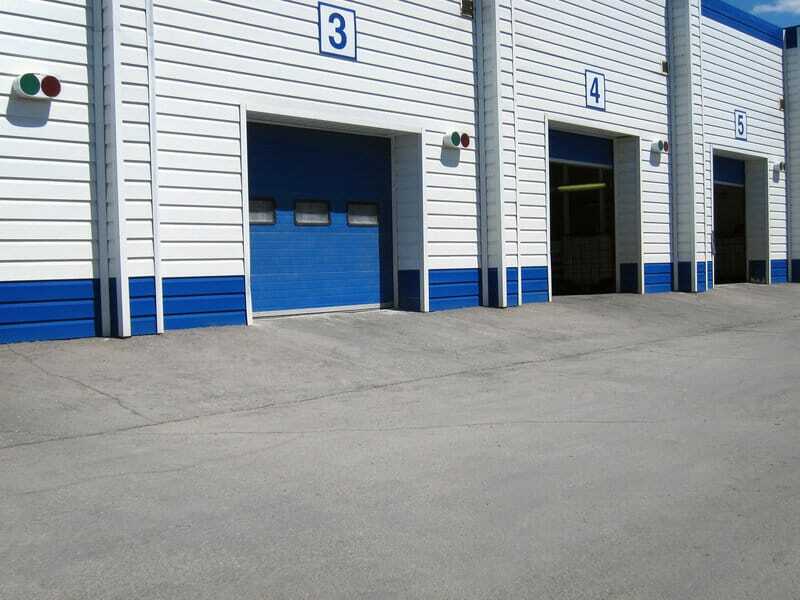 This track allows the garage door to move up and down and to close properly. If the Garage Door Track is out of alignment, this prevents the garage door from closing or opening. To check if this is the case, look at both sides of the track and see if there are any gaps in between the rails or if there are any bends in the rails. If there are, then that means that your garage door track is out of alignment, and we need to fix it. One thing to do before attempting any fixes is to see if the door moves at all by pressing the button on your remote. If it does, that’s a good sign. If it doesn’t, then you really shouldn’t do this yourself and you should hire a professional who knows what he is doing. To fix it, loosen the screws that hold the frame up, tap the track with a mallet to move it back into position, make sure it’s straight, then tighten the screws securely. Do this with the other tracks, too, because they may also be out of alignment. Make sure the antenna is hanging from the receiver in your garage. Check to make sure nothing is obstructing or blocking it. Inspect the receiver for any damage. 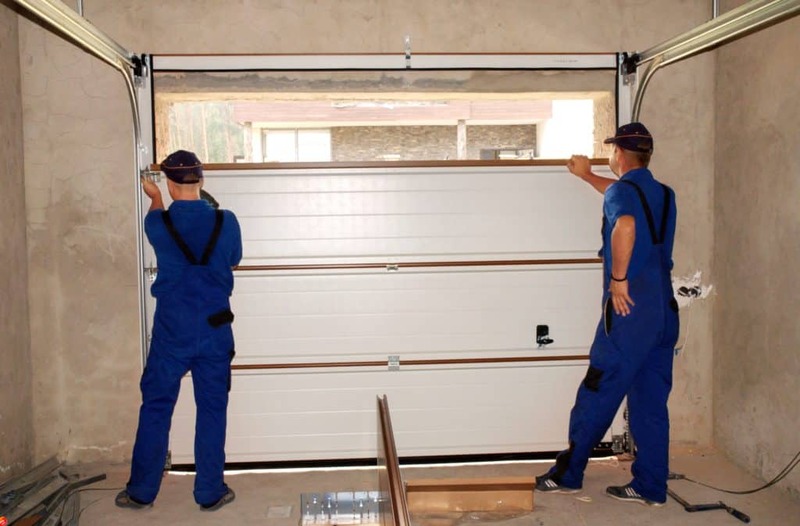 If there is, then you need to hire a garage door technician to fix the problem. Two other potential solutions have to do with changing the frequency of the transmitter and reprogramming it. However, those two options are unnecessary. Focus on checking for any obstructions or potential damage and act accordingly. If you’ve been trying to close your door, and before you did, you heard a loud banging noise, that’s a good sign that the springs on your garage door are broken. The springs are the most crucial part of the garage door. They take the door and allow it to move up and down. If either of the two springs is broken – one on both sides – this prevents the garage door from opening. Springs eventually break due to the limited number of times they can be used. Don’t try to fix this yourself. It’s very dangerous. Hire a professional who can help you.